1. Pay the application fee. 2. Provide proof the applicant is licensed as a cosmetologist, manicurist, or esthetician in another jurisdiction and that the applicant's license is in good standing. 3. Demonstrate the other jurisdiction's licensure requirements at the time the applicant was licensed by the other jurisdiction were substantially equal to those in North Dakota at the time the North Dakota application was filed. Three thousand hours or more of work experience as a licensed operator will be considered substantially equal to three hundred hours of cosmetology education. 4. Pass an examination on North Dakota sanitation practices and cosmetology law." Invasive Practices: "Click here for information regarding such practices as micro-blading, laser use, and permanent makeup." "A personal name or mailing address change must be submitted to the board office. Please click here to fill out the Name Change Form. Once completed, mail the form to our office. If you would like your name changed on your license, submit your request with a $10.00 fee." "All licenses expire on the thirty-first day of December in that year. The holder of an expired license, within one year from and after the date of its expiration, may obtain a license upon the payment of the late fee in addition to the current renewal fee. If a license is not renewed within one year from the date it expired, the applicant for reinstatement shall take and pass the examinations required of new applicants. This includes the hands on practical, laws and rules, and NIC theory examinations." "Printed laws, rules & regulations books are available at the board office for $15.00. Rules & Regulations posters are available at no cost and may be printed here (please note this is an 11x17 sized document that may not print out on all printers). Please submit your request in writing to our office along with the appropriate fee." "Article 32-02 of the North Dakota Rules & Regulations describes the Rules of Cleaning and Disinfecting. This section is provided here for your convenience." "These are all considered to be a part of Cosmetology services. Eyebrow threading and eyelash extensions may be performed by a licensed Cosmetologist or Esthetician in a licensed Salon. Hair braiding may only be performed by a licensed Cosmetologist in a licensed Salon." "Click here for health and safety information regarding footspas." "Click here for Blood Exposure Procedure guidelines." "Click here for Infection Control and Safety Standards created by the National-Interstate Council of State Boards of Cosmetology (NIC). 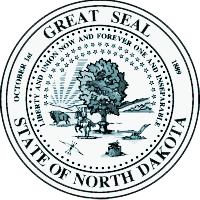 "To receive certification of your North Dakota license, please click here to fill out the License Verification Form. Once completed, mail the form to our office with the fee of $20.00. If you have a verification form from a different state that needs to be completed, include that with your request. Please allow a minimum of two weeks for your request to be processed." "Business names of salons or booth rentals must be registered as a trade name with the Secretary of State. You may contact the Secretary of State's office at (701) 328-4145. Additional information and forms are available at the North Dakota Secretary of State's website located here: http://www.nd.gov/sos/businessserv/registrations/tradename.html." "Cosmetology: 1800 hours of school training. Esthetician: 600 hours of school training. Manicure: 350 hours of school training." "NIC Written Theory, NIC Practical, and North Dakota Sanitation practices and cosmetology law." "Complaints filed with the Board Office are considered public information. All complaints need to be in writing. Click here to fill out the Complaint Form. Once completed, mail the form to our office. A copy of the complaint will be mailed to the individual/salon who is the subject of the complaint for response to the allegations. The Board will then determine whether the alleged facts show a violation of existing laws or regulations."